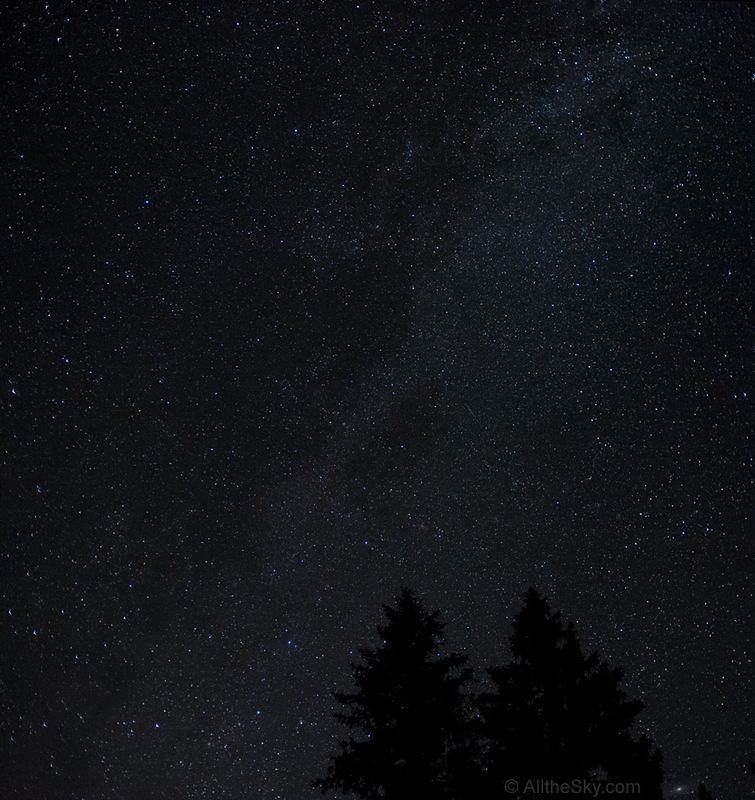 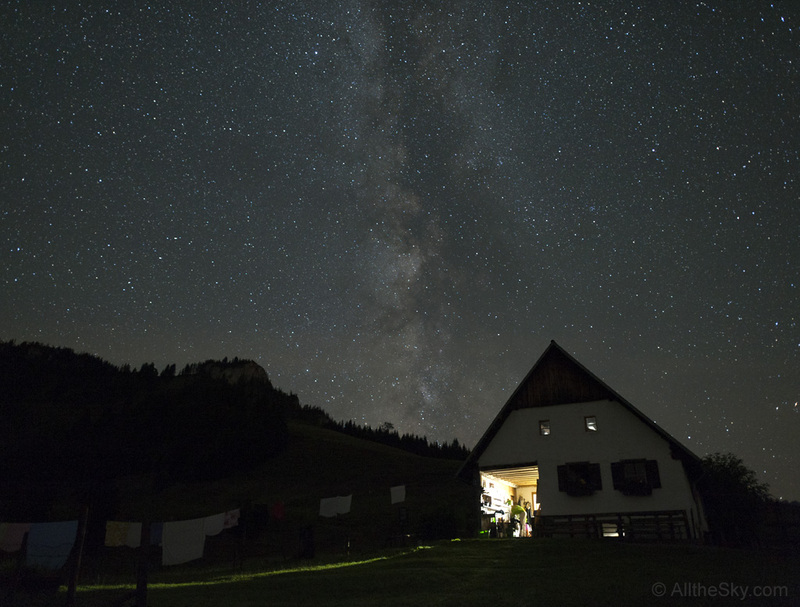 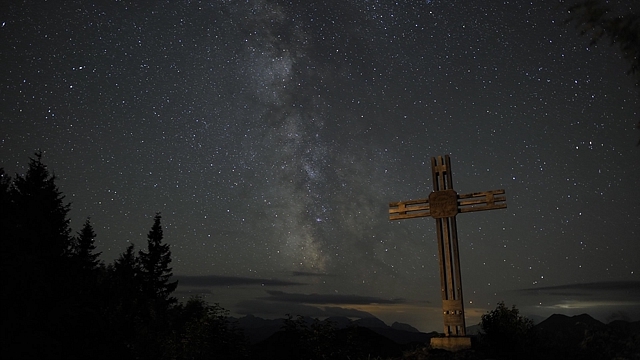 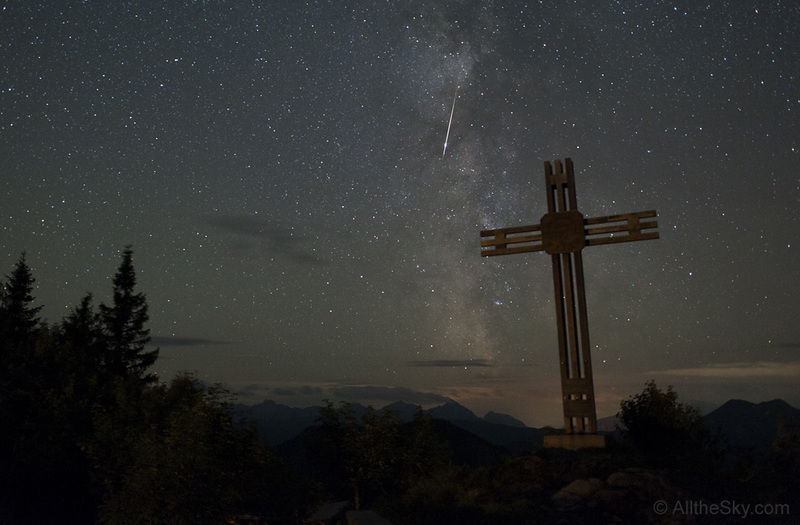 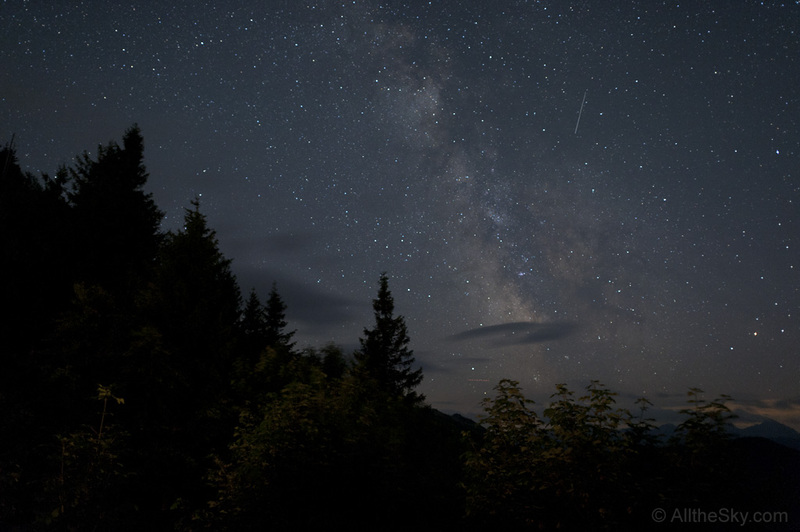 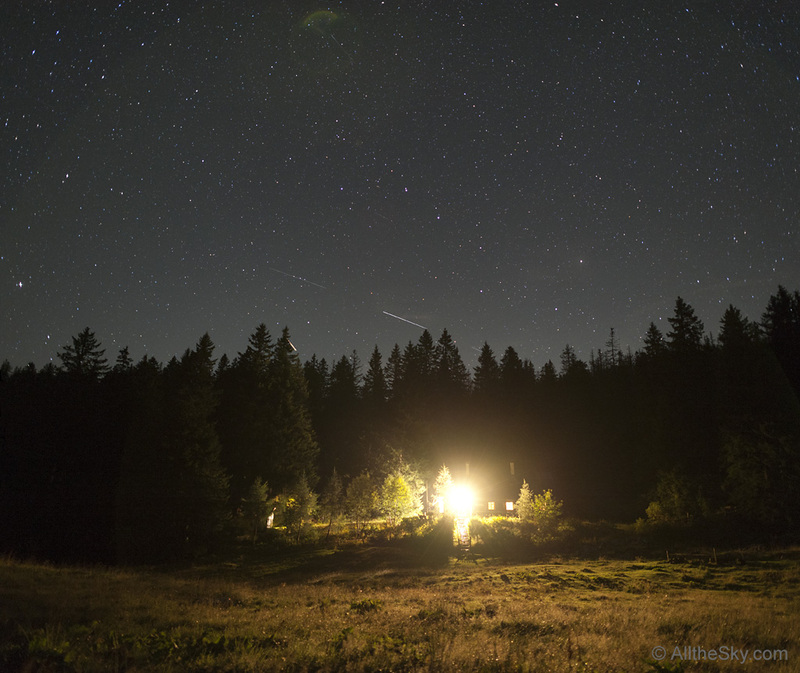 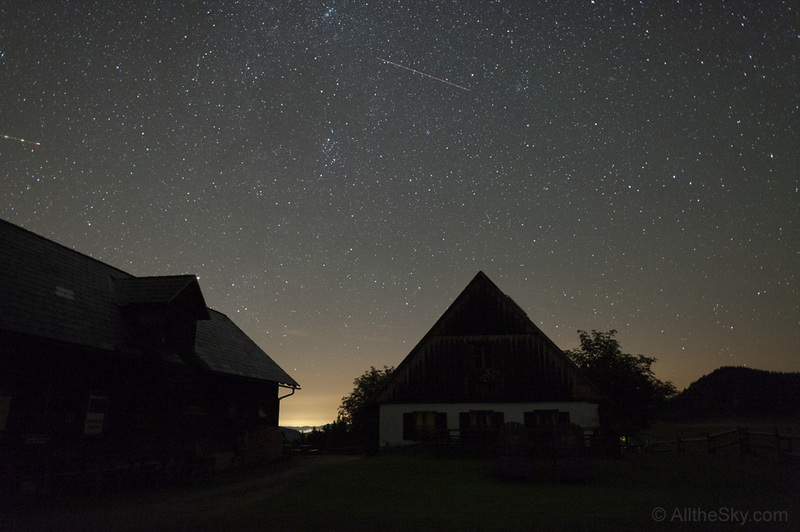 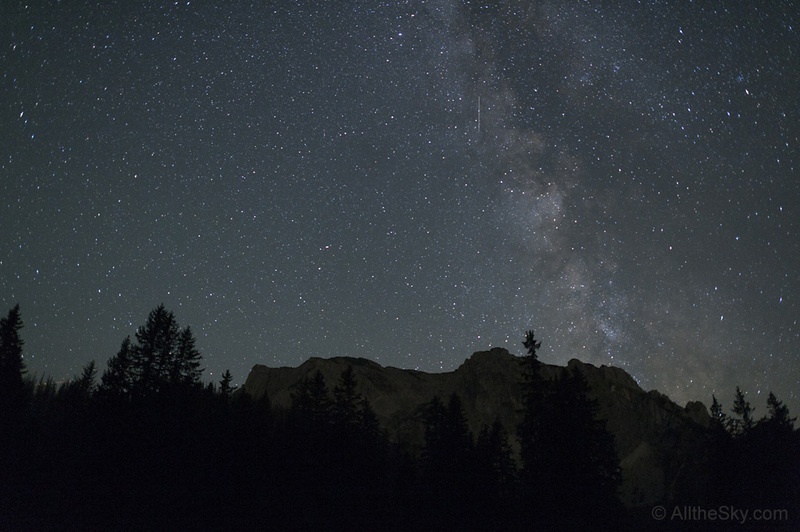 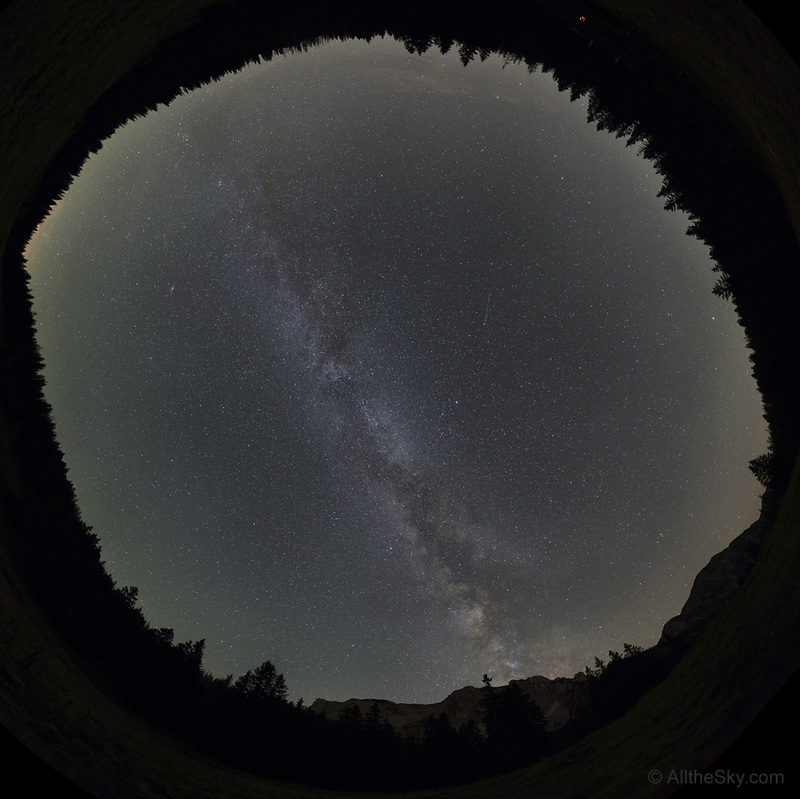 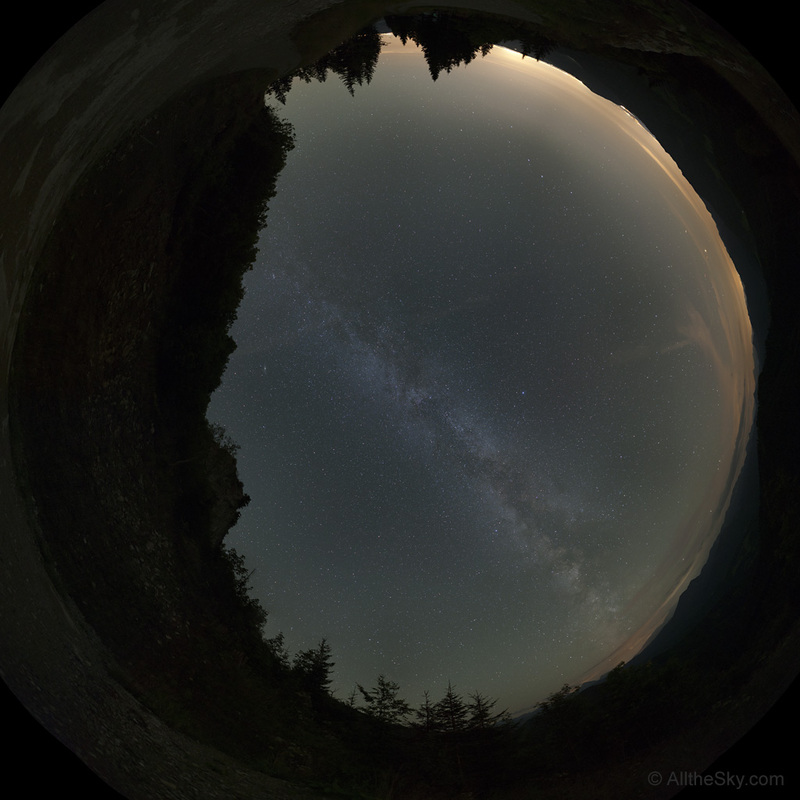 Time lapse of the milky way above the Reichramiger Hintergebirge and the National Park Kalkalpen, taken at August 24th 2014 from the Ennser Hut. 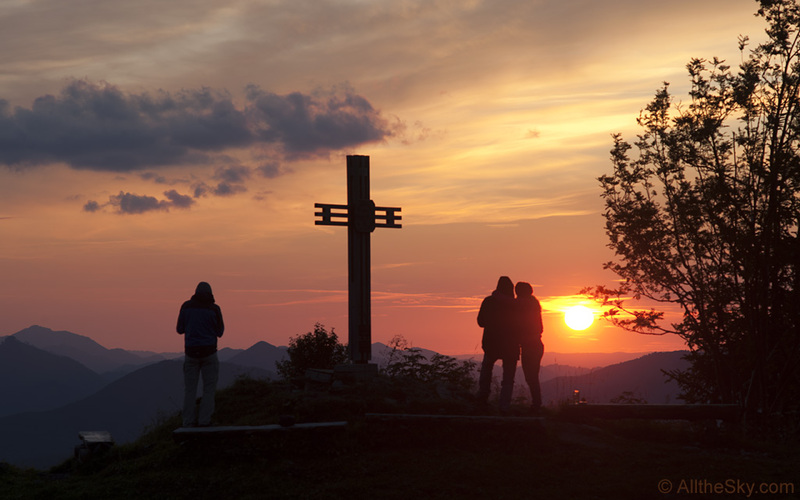 On the right hand side is the Sengsengebirge with the Hoher Nock. 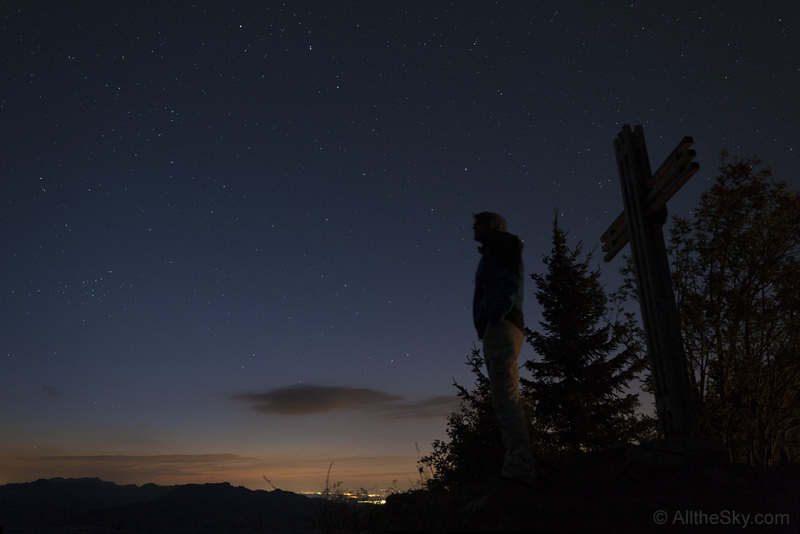 Light pollution from Windischgarsten is lighting the clouds from behind the mountains.